Yet again our Year 6 children have been a fantastic representation of our school at the Ride Leicester event today! 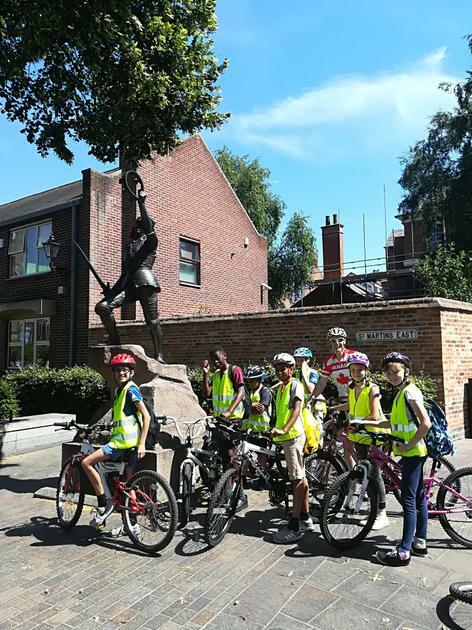 Mr Jackson and I were very proud of them today as they cycled the 14 mile trip to town and back. They confidently and sensibly navigated cycle paths and roads, keeping up a good pace even in this heat. They enjoyed meeting up with the other Primary Schools involved at Leicester Cathedral. Whilst eating lunch, the children thoroughly enjoyed watching the mountain bike stunts (hopefully they will remember not to try them at home!). They might have tired legs in the morning but what a fantastic way to spend a school day!